A lot can happen in two years, or so Hispanic Executive learned recently when speaking with Ernesto Perez. 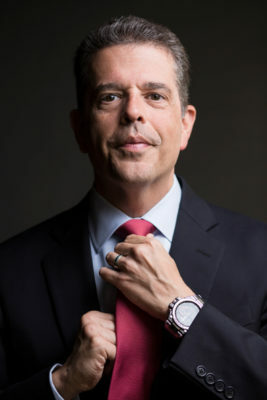 The managing director of the global tax practice for Alvarez & Marsal (A&M Taxand) first appeared in the magazine almost exactly twenty-four months ago, and at nearly the same time, he began a series of exploratory conversations with colleagues that wound up leading to him playing a prime role in the company’s ambitious new growth strategy. The executive oversees a large team of more than 260, in nine US offices and one in London, and in 2016 the team began to develop an M&A plan to expand its company’s tax presence to new locations while enhancing it in existing ones. The first acquisition was a firm in San Jose, California, in the middle of Silicon Valley, and over the course of five or six months, Perez was closely involved with everything from the drafting of the initial agreement to the closing celebration dinner. The deal was finalized on November 1, 2016, and Perez sat down to discuss how it came about and where he and his team hope to expand to next. So, talk about your new office in San Jose. How did you see it as part of a larger growth strategy? In 2016 was when we really, in earnest, started to pursue our M&A strategy of growth for the tax practice. Until then, we had grown through organic growth and lateral hires. We wanted to grow, scale our different offices, and at the same time go into markets that we thought were opportunistic. Over the course of 2016, we looked at about ten different targets, one of which was the office in San Jose. San Jose not only provided us with an opportunity to scale our West Coast practice but also gave us access to the high-tech market of Silicon Valley. What’s the specific approach to bringing A&M Taxand into new markets? What’s been successful so far is to get the word out, “Hey, listen, we’re looking.” I would say almost all ten of the targets we looked at came from an internal referral. It has just been a matter of making introductions and connecting the dots. On top of that, we’re also now getting investment bankers and other third parties reaching out to us. The word got out that we closed on the San Jose transaction, and we’re getting calls now, asking if we’re interested in certain targets that might want to sell or might be looking to join a larger synergistic platform. So you’re looking to have a tax presence in a number of other offices, too. Do you know yet where those offices are going to be? Our focus is twofold: One, we want to scale up our existing offices, so we’re looking for opportunities in our current locations. Two, we want to be where perhaps A&M Taxand has a non-tax presence and it makes sense for us to have a tax presence. We’re currently in discussion with firms in Denver, Houston, Atlanta, Southern California, and the Northeast. We’re also looking to expand in London. And how are you personally feeling about the larger growth strategy following the San Jose transaction? I feel great. We are growing at an incredible rate, and I see a lot of opportunity ahead of us. In addition to your focus on growth, you’ve helped A&M Taxand work on its diversity and inclusion initiatives in the past two years. Can you talk about them? That’s something we take seriously here at A&M. I was approached by some of our folks that really wanted to be more proactive in terms of diversity and inclusion, and they wanted to be more active, whether through a women’s initiative, an LGBTQ initiative, an ethnicity initiative, or a veterans’ initiative. Where I helped out was supporting them, making sure this got brought up to worldwide management and that they would have a platform where they could continue, with the passion they have. I was a facilitator. I heard my people. It made sense what they were saying, and I just helped it move forward. In the near future, are there other initiatives you foresee A&M Taxand implementing or other industry sectors you foresee the company moving into? A lot of things are happening, especially with artificial intelligence and data analytics. That’s something that also is impacting our industry and how we service our clients. We’ve got to be more efficient. We went from a service economy, where your skill set was important, to an experience economy, where the skill set is a given. It’s how you interact with the client and the experience that client has with you that will bring them back or have them recommend you to somebody else. How far into the future do you think some of the technological innovations are? They’re here now. The impact is something that we’re going to feel over a long period of time; they’re already knocking at the door. We have clients that are implementing data analytics and software intelligence that are impacting how they do business. What personally excites you the most about the future of A&M Taxand? We have tremendous talent, and when I spend time around the offices, I get excited about the young talent we have. There’s no better feeling than seeing our people grow in their careers and seeing someone develop and become a partner. I had somebody tell me a long time ago, early in my career, ‘A good partner is one that makes partners.’ This is what I mean when I talk about organic growth, the development and promotion of our people, and I’m really proud of our track record for internal organic growth.